This month has seen yet another series of attacks on internet freedom. 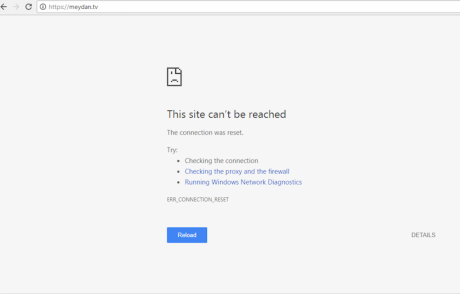 The website of exile Azerbaijani news site MeydanTV, which was blocked earlier this year. It has been a busy month for the Cyber Security Service at Azerbaijan’s Ministry of Transport, Communication and High Technologies.